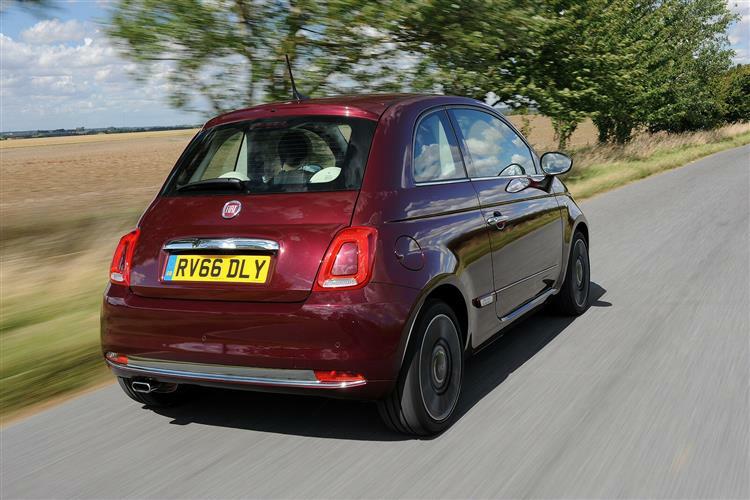 Fiat's cheeky little 500 is a stylish citycar that remains as appealing as ever. It's not been fundamentally changed in recent times - but then loyal buyers didn't really want it to be. These people will like the smart look, the extra media options and the more individual feel. You can tell that Fiat knows its market. 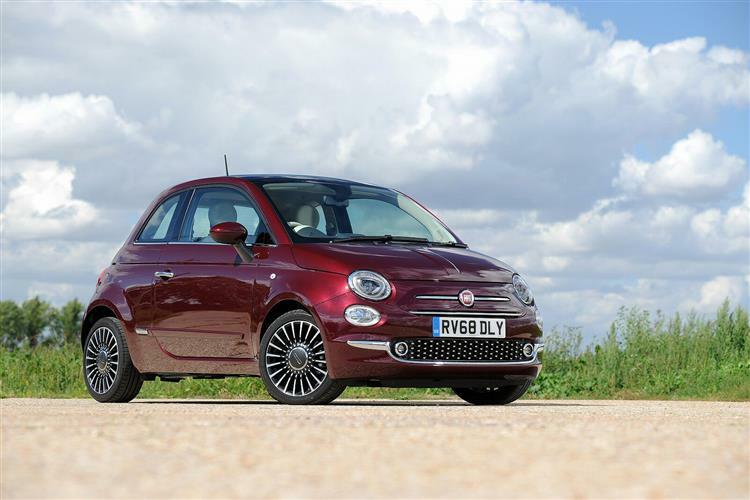 The 500 has been a great success story for Fiat, offering buyers a cute, retro citycar at affordable prices. But does it still have what it takes against newer rivals? Jonathan Crouch drives one. 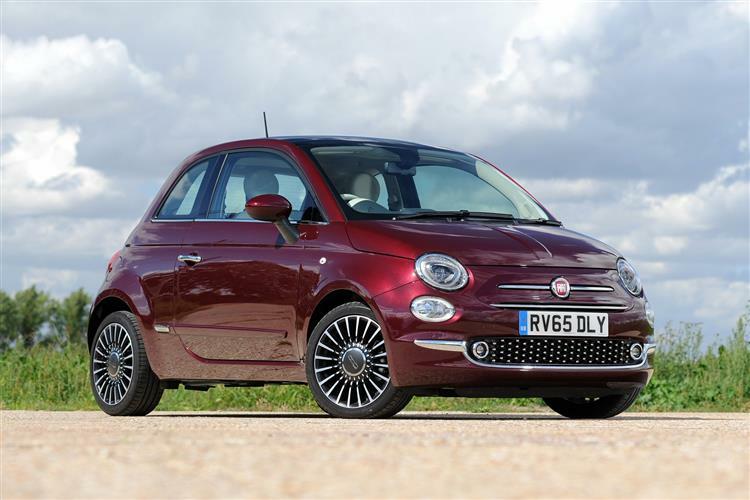 If ever a car has built its brand, it's this one, Fiat's 500. In fact, it's done so twice. First at its original launch back in 1957. And more recently with this modern era version, first launched in 2008. Ever since, it's been a money-spinner for the Italian brand, who've never stopped trying to improve it. We got quite a wide-ranging package of updates in early 2014 that gave buyers of more expensive versions the company's 'UConnect' infotainment technology. Now those UConnect systems have been rolled out across the range and there's a more extensive range of personalisation options. It all means that on paper at least, this car remains a strong proposition. The small, fashionable citycar segment though, has changed substantially since this model's original launch. Does this Fiat still have what it takes to compete? Let's find out. 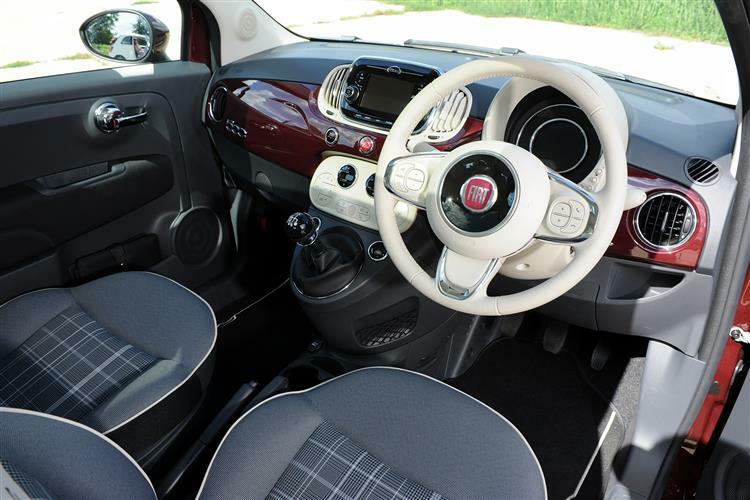 In recent times, Fiat has tried to improve both the ride and handling of this 500, though this will probably be of limited interest to the car's urban-minded audience. The petrol engine range is pretty familiar from before, which means that the entry level option is still a 1.2-litre naturally aspirated four cylinder petrol unit with 69hp. Cars fitted with this engine now receive bigger brakes to help safety and get the option of an 'Eco' package. Spend a little more and you can choose the far more modern and efficient 'TwinAir' two cylinder turbocharged petrol powerplant, which puts out 85hp. Plus, as before, there are potent 1.4-litre turbo petrol Abarth models on offer for hot hatch fans. Go for a 500 with a TwinAir petrol unit, as many buyers will, and you'll find that the engine can get a bit vocal if you work it hard. Even then though, the gruff, slightly throbby note is characterful rather than unpleasant and around town, refinement is more than acceptable. If you are urban-bound, you might also want to consider the optional (but rather jerky) Dualogic gearbox, a kind of manual transmission without a clutch. Unless you like all that left-foot pumping of course. City dwellers will also appreciate the tight 9.3m turning circle. As before, there's a choice of fixed-top and convertible 500 models. 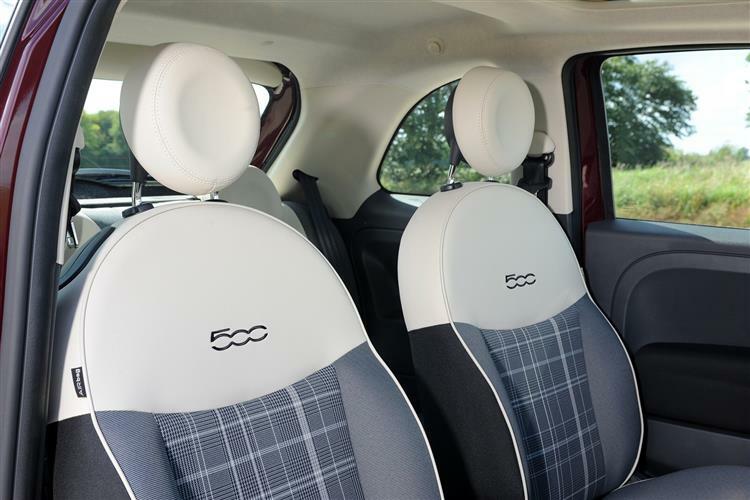 The open-topped 500C variants require a premium of around £2,500 over their standard counterparts. If you're happy with tin-top 500 motoring, then you'll find pricing that's a fraction higher than before, yet which still starts just over £12,000 for the baseline 1.2-litre Pop version. Above this variant, you can upgrade yourself to 'Pop Star' trim and beyond that lie the 'Lounge' and 'S' models that can alternatively be ordered with the brand's 85hp 0.9-litre two cylinder petrol TwinAir unit. While there are cheaper and more practical cars out there, these prices are on par with other style led hatchbacks like Vauxhall's ADAM - and they undercut what you'd pay for a comparable MINI Hatch 3-door. Key options include the Dualogic semi-auto gearbox which requires a premium of around £750. So what do you get for your money? Base 'Pop' trim has LED daytime running lights and a Uconnect infotainment system with six speakers, plus AUX-in/USB ports and steering wheel remote controls. Plusher 'Pop Star' spec adds air conditioning, 15-inch alloy wheels and heated mirrors with body-colour caps. Plush 'Lounge' spec meanwhile, gets you a panoramic glass sunroof, rear parking sensors, a chrome front grille, front fog lights, a leather-trimmed steering wheel and a Uconnect 5" LIVE touchscreen infotainment system with smartphone integration. If you want to go further, then your dealer will want to tell you about the latest range of so-called 'Second Skin' decal packages. 500 models are safe too, with a five star Euro NCAP safety rating, seven airbags, ABS with electronic brake distribution, electronic stability control, a Hill Holder clutch to make pulling away on an incline easier and hydraulic brake assistance to help with emergency stops. 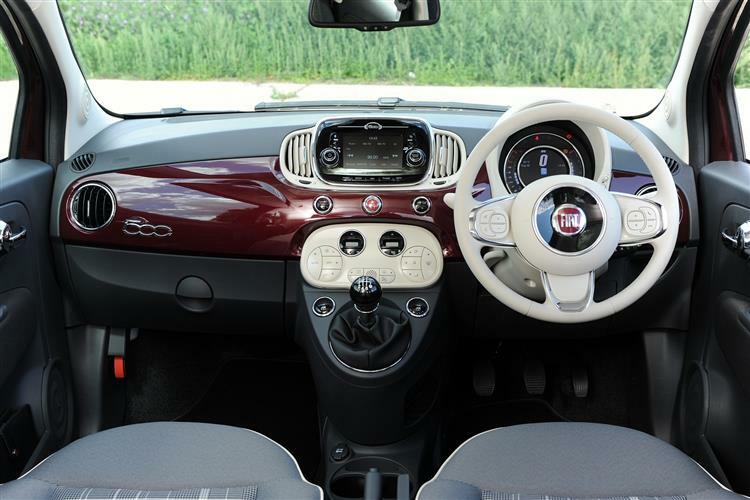 One of the advantages of such a small car is that tiny fuel efficient engines are more than adequate for hauling you and your little Fiat around. Even the basic 1.2-litre model is capable of 60.1mpg on the combined cycle, while producing 110g/km of CO2. These figures improve to 62.8mpg and 105g/km if you go for the optional Dualogic semi-auto gearbox. Or 65.7mpg and 99g/km if you go for the 'ECO' version. The economy champion for petrol buyers is the 85PS TwinAir petrol variant, a car capable of 74.3mpg and 90g/km of CO2 (or 2g/km less if you opt for the Dualogic 'box). Even the quickest 105PS TwinAir model manages 67.3mpg and emissions of 99g/km. For the 1.3-litre MultiJet diesel, the figures are 83.1mpg on the combined cycle and 89g/km of CO2. If you decide to go for the open-topped 500C variant with any of these engines, you'll see no penalty for either economy or emissions. What else? Well, this car should certainly be cheap to insure. For the base petrol 1.2, you'll be rated at between groups 5 and 9, for the TwinAir 85bhp, you'll be rated at between groups 10 and 13 and for the TwinAir 105bhp variant, you'll be rated at group 15. The warranty is a typical three year affair but with a 100,000 mile limit that's significantly higher than some other brands will give you. 500 models hold their value very well and that's unlikely to change any time soon. Don't be tempted to go customisation-crazy with the options list though: not everyone will share your taste or want to pay extra for graphics when it comes time to sell. 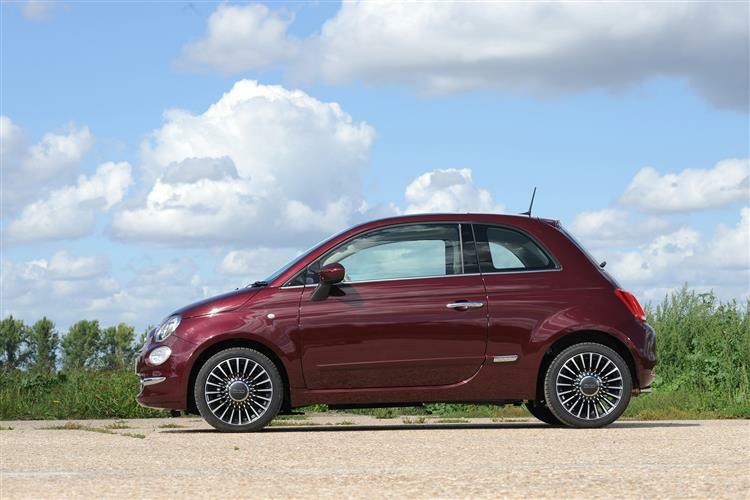 To be honest, Fiat hasn't needed to do a whole lot to retain this 500 model's popularity. It still looks great, it's always been fun to drive and providing the pricing doesn't get too ambitious, the market remains there for it. As for this updated version, well the interior improvements are welcome as is the extra technology. 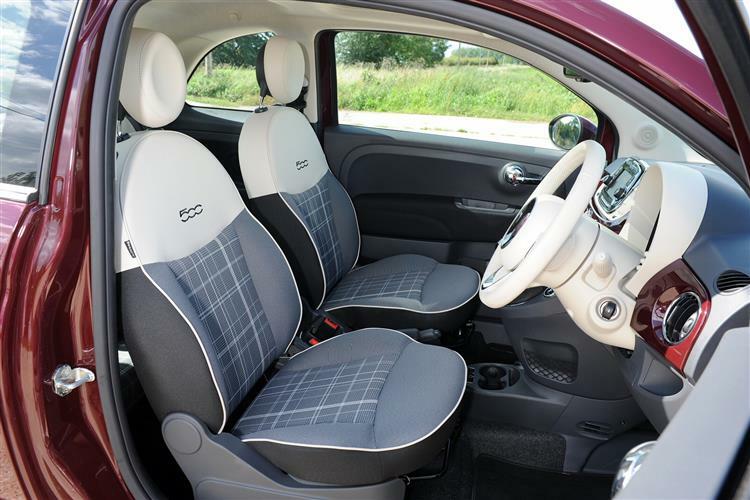 And there are plenty of extra personalisation options for Fiat dealers to talk about in the showroom. 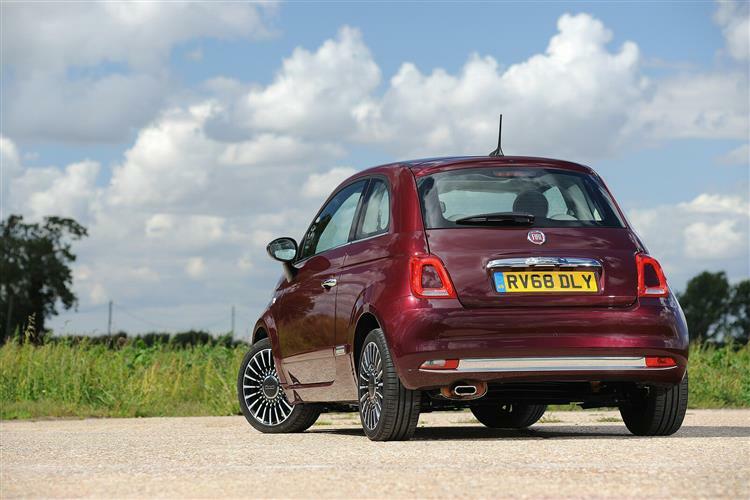 Otherwise, things are much as before, which means that the TwinAir two cylinder petrol unit remains a key part of this Fiat's appeal. 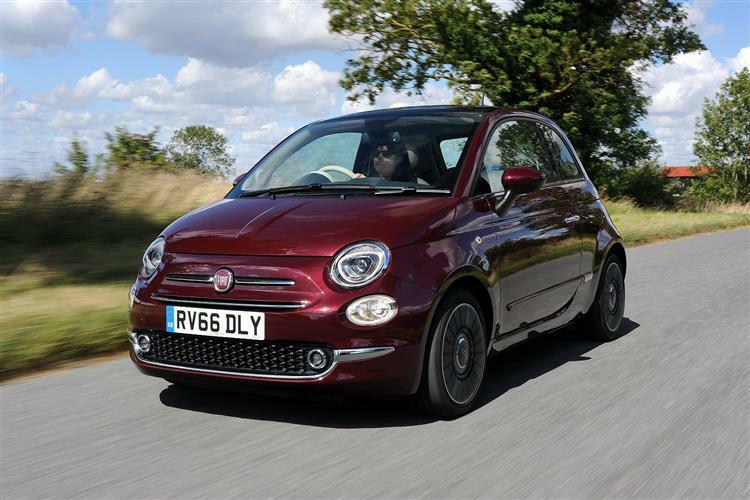 The sound and eager response suit the car and though the quoted running cost returns are difficult to achieve in real-world motoring, it certainly makes the 500 a very cheap thing to run indeed. Yes, this model remains pretty small inside, but then smallness is all part of the appeal. You'll appreciate that when zipping around town in one. In summary then, this car remains as likeable as ever. Choosing a 'fashionable' little runabout can often be a risk. Here though, is one you can enjoy without a worry.